75529C is rated 5.0 out of 5 by 3. 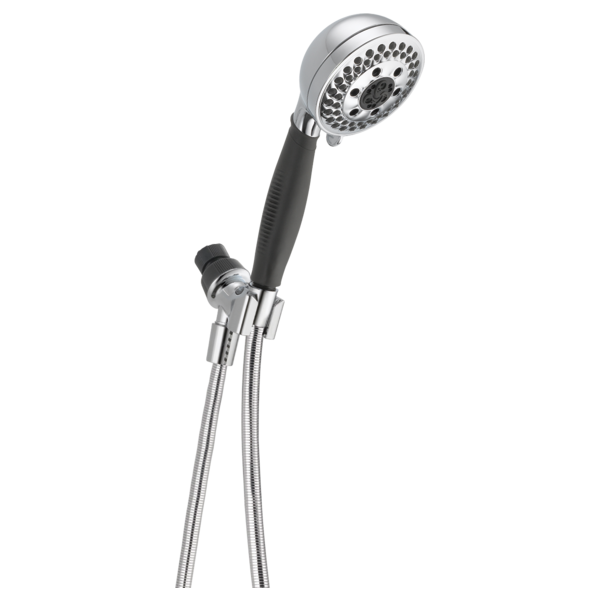 Rated 5 out of 5 by skc43 from Nice spray options Great shower head with different spray options. Does this have a built in double check valve? If not which models have that feature? Do you have an exploded view of this model that would include the plement of the internal parts? I like a more forceful shower spray and this showerhead has a flow restrictor in it that is preventing that. I do not live an a jurisdiction that requires them and I want to remove it. I am not concerned about voiding the warranty. How? Can I use the spout alone and directly mount it to the wall and just run the hose to the tub spout that has a diverter? The installation instructions mention a washer, but I didn't find a washer in the box. What size/type of washer is needed?